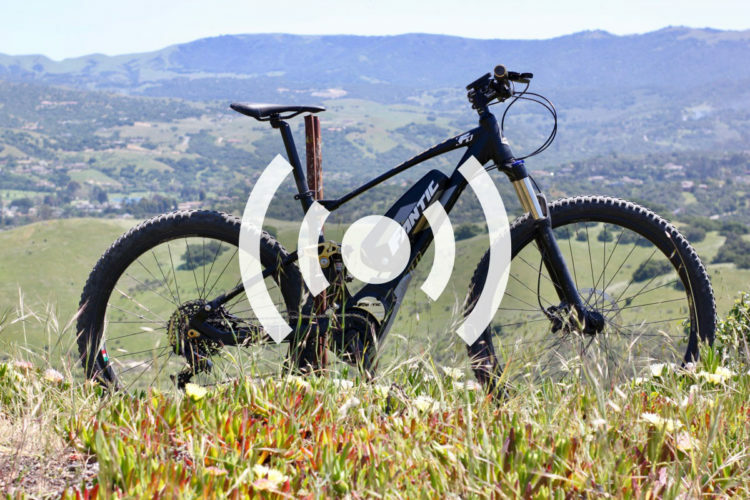 A lot of blanket statements have been made about electric mountain bikes access in the USA. But the reality is, that blanket is full of holes, chewed by many moths in many different places. Take Colorado for example. More than a third–about 36%–of the land in the state of Colorado is owned and/or managed by the federal government. 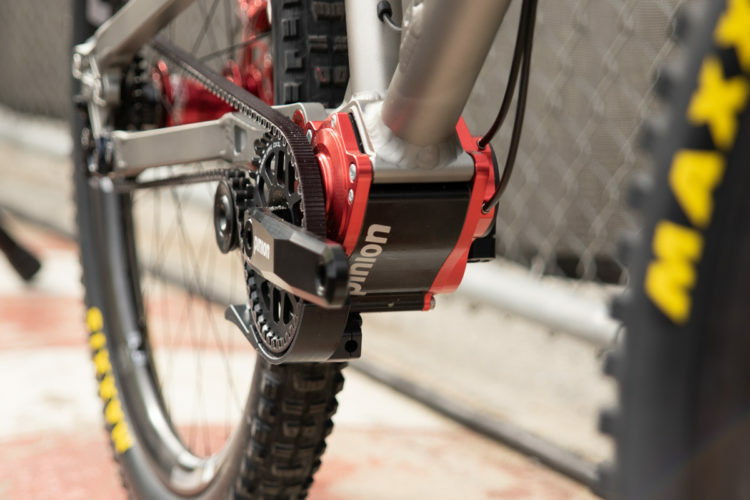 Over the past couple of years, federal agencies like the Bureau of Land Management (BLM) and the US Forest Service (USFS) have released similar policies toward eMTBs, choosing to categorize and manage electric bikes as motorized vehicles. But that still leaves Colorado land owned at the state, city, and county level where, until last year, e-bike guidance was decidedly less clear. I spoke with both Representatives, and each mentioned similar goals for this bill: to address the concerns for a growing class of vehicles and recreationists, and to support industry within the state of Colorado, which is home to many bicycle-related businesses. But despite seeking to bring clarity and guidance to a relatively new and growing sport and industry, there is little agreement about what the law actually means, or how it should be implemented. Is a path a trail? For many, the word “path” brings this to mind. 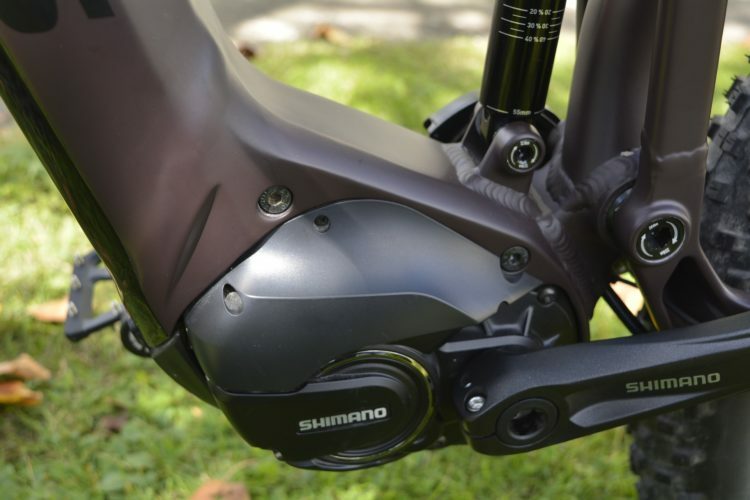 Part of the confusion with the bill arises from the use of the term “path” to describe where Class 1 and 2 e-bikes are allowed. Mountain bikers tend to make a distinction between a path and a trail, the former being a narrow, paved surface mainly used for commuting and recreational riding, the latter a natural-surface singletrack route. In speaking with Representative Hansen, I got the sense that his own definition of path includes both paths and trails, while Representative Willett considers the two to be separate, particularly as it relates to the bill. Both representatives tell me they do ride mountain bikes on occasion. Representative Hansen emphasized the bill was purposely written to give local jurisdictions the ability to make their own choices when it comes to implementation. Agencies are able to allow or disallow e-bikes as they see fit. Hansen also noted the bill was purposely written to be fairly broad, rather than narrowly focused, giving local communities the ability to come up with their own interpretations. Perhaps one clue as to what the bill potentially covers lies in the fact that the bill amends Colorado Revised Statutes Title 42, the state vehicle code. Some have taken this to mean the bill is meant to address cycling infrastructure managed by the Colorado Department of Transportation rather than, say, the State Parks Department. In fact, Colorado State Parks began discussing the issue of e-bikes back in 2016, but a check last week showed no final determination on how to manage e-bikes has been reached, despite the signing of the 2017 state bill. 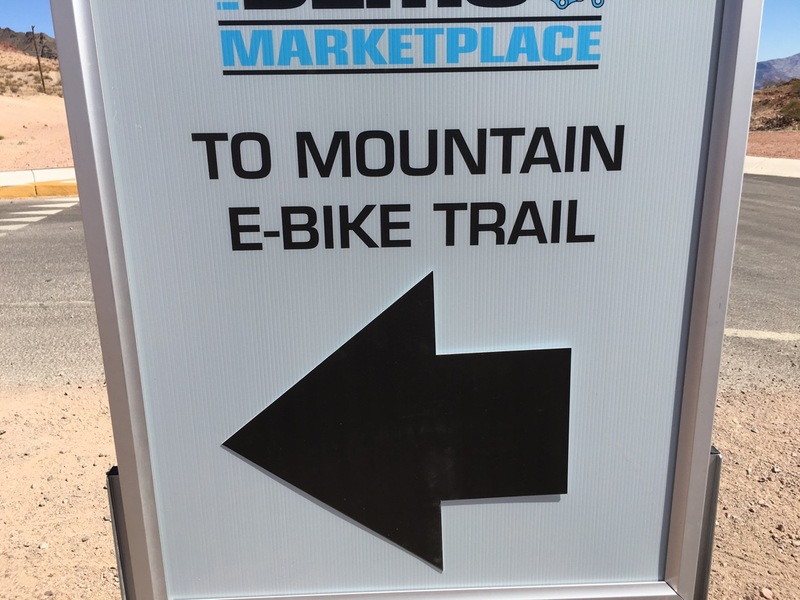 For example, at Cheyenne Mountain and Lake Pueblo State Parks, the official answer is no, e-bikes are not allowed on singletrack trails. Officially, the State Parks department does not have a policy or position on e-bike trail access at this time, according to Rob Seel, Trails Coordinator for Colorado State Parks, Southeast Region. That could change within the next year or so, once the official comments from regional State Park administrators have been considered. 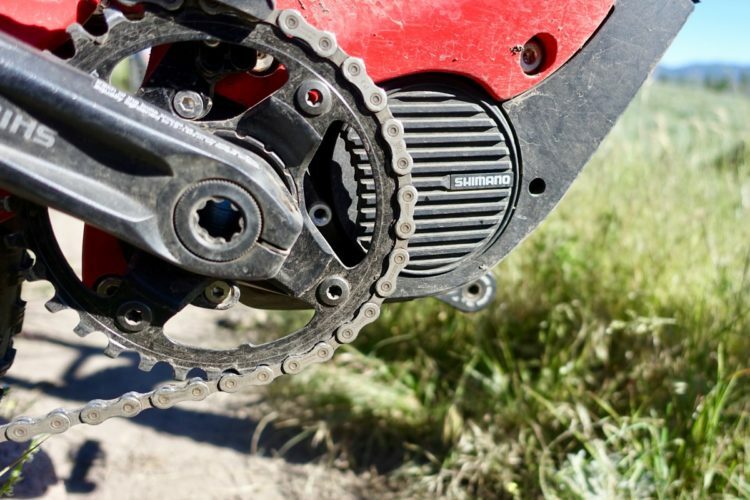 Those comments are not public yet, though it is safe to expect Colorado State Parks will ultimately allow Class 1 and 2 electric mountain bikes on some trails in some–but not all–state parks. 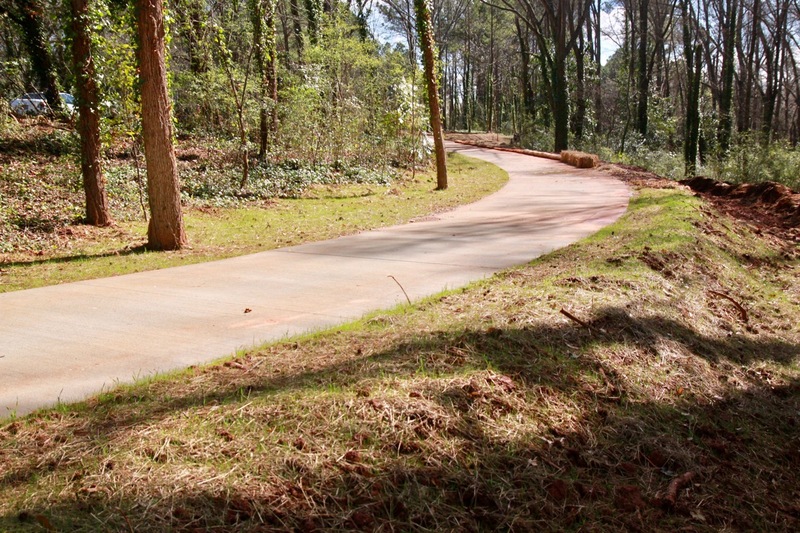 Just days ago, Jefferson County announced a “pilot” program to allow eMTBs on natural surface trails in parks and open spaces. 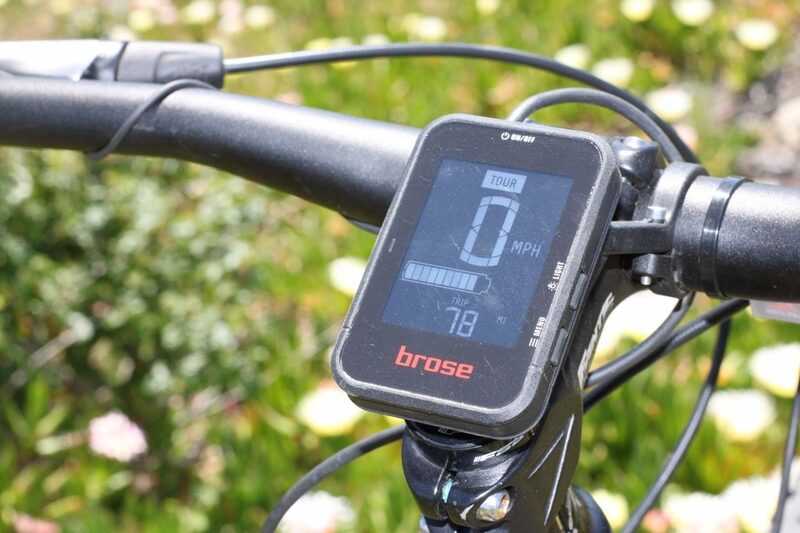 The county referenced House Bill 17-1151 as the reason for tentatively opening trails to electric bicycles. 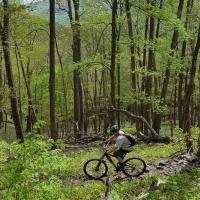 This news is particularly notable simply because it opens so many popular mountain bike trails in Colorado to eMTBs, including Apex Park, White Ranch, Lair o’ the Bear, Deer Creek Canyon, Alderfer/Three Sisters, Matthews/Winters, and Mount Falcon. To the north, Boulder County is currently considering whether eMTBs should be allowed on natural surface open space trails. Like many counties on the Front Range of Colorado, the open spaces in Boulder County are wildly popular with mountain bikers, hikers, and joggers alike. In fact, because county open space trails are so accessible to such a large population, many trails see just as much, if not more traffic, than the USFS- and BLM-managed trails located elsewhere in the state. It’s interesting to note that at these open house events, electric bicycles are available for citizens to try for free, often on loan from local bike shops. Specialized even rolled out a trailer full of e-bikes for a recent event. 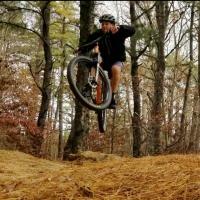 eMTB: A new class of trail users? 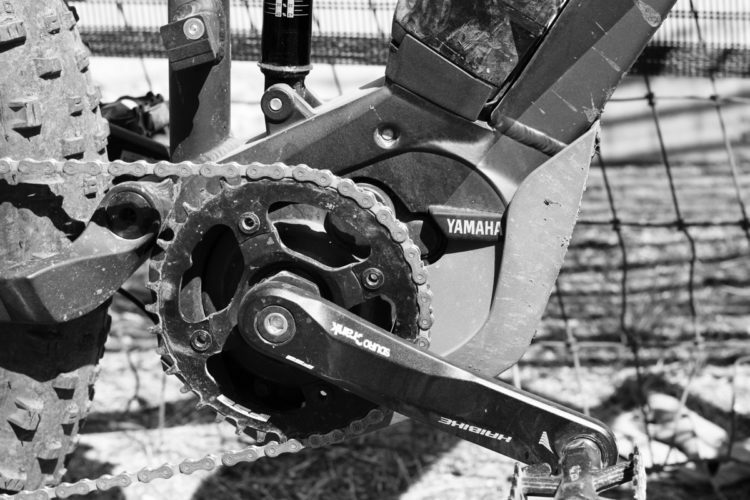 Within the mountain biking community, there is an open question as to where eMTBs fit: are they mountain bikes or motorized vehicles like dirt bikes? If the situation in Colorado is any indication, electric mountain bikes might just be their own thing altogether. Put another way, they can be either one, depending on who and where you’re asking. Consider hiking, horseback riding, and mountain biking. All three are distinctly different activities, and trail access is granted to each user group depending on many factors. Saying electric bikes can be ridden anywhere “classic” bikes are allowed is a bit like saying a mountain bike can be ridden on any hiking trail. While it’s true that some hiking trails allow bikes, not all of them do… and perhaps some never will, for that matter. 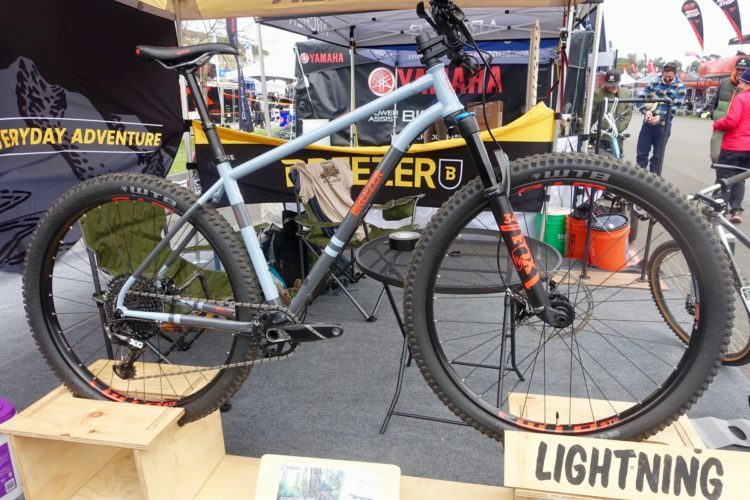 Speaking of never: Mountain bike advocates should take note of the progress electric mountain bike advocates have made in the US in a very short period of time. 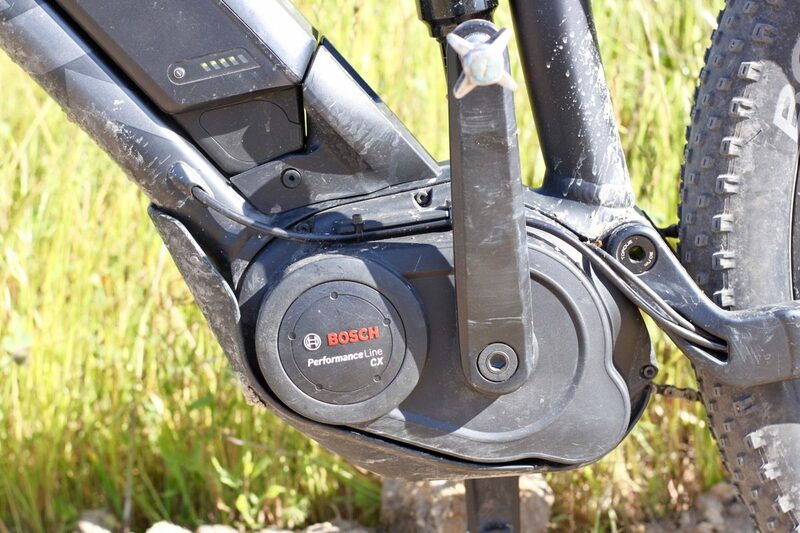 While the Sustainable Trails Coalition has been working on lifting the ban on bikes in Wilderness, electric bike advocates have successfully passed favorable e-bike access laws in states like California and Colorado. Not only that, industry advocates are working at the local political level too. Imagine advocating for “classic” mountain bike access on a hiking-only trail by offering free demo bike rides for people in the community. That’s exactly what is happening in Boulder County, but for e-bikes access to “classic” bike trails. Lobbying may have a yucky reputation, but the results speak for themselves. 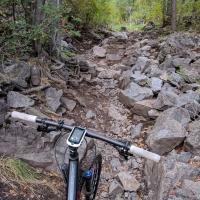 So are e-bikes allowed on singletrack in Colorado? The answer is, it depends on the trail, just as it does for any activity. And by extension, this means the debate over whether eMTBs are mountain bikes or dirt bikes will never reach a conclusion. 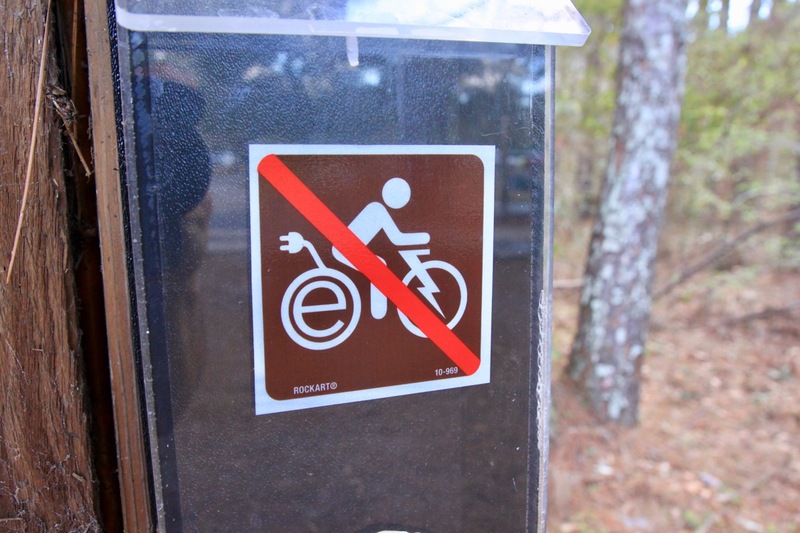 Perhaps the most definitive thing that can be said is that electric mountain bikes are electric mountain bikes, and they can be ridden anywhere electric mountain bikes are allowed. As I said in the past mountain biking is human power, if you want to take the easy way ride your ebike on motorized trails or pavement. Another example of the softening of America. As far as getting a great workout on a ebike, give me a break. If they pair ebike with real mountain bike everywhere you wait and see how fast we lose access to real trails. In Europe, where cycling as a sport is much more popular and there are a lot of strong riders, eMTBs have really taken off. A lot of the guys you see riding them are crazy strong, but they are really doing it to be able to climb more in a day out, i.e. in lieu of a shuttle, to get to the descents, and to ride faster. Not saying I like it, it annoys me like hell when a pack of dudes on eMTBs fly by me on an uphill, but it’s definitely not completely a laziness issue. In general I would also prefer a ban on eMTBs on natural-surface trails, to prioritize access for those who use natural power, but I would like to see them used more for commuting and transportation! ssapio………I see way more damage on local trails caused by human power mountain bikes riding on wet trails leaving 2-6″ deep ruts in the trail. There is a small amount of stupid people on the trails from every group of users……….I don’t think mature e-bike riders are the problem. I am not a fan of emtbs, and will never get one, but access shouldn’t be determined by whether or not I think the person is being lazy. Access should be determined by trail sustainability, if the emtbs present sustainability issue on a particular trail, than ban them, if not have at it. 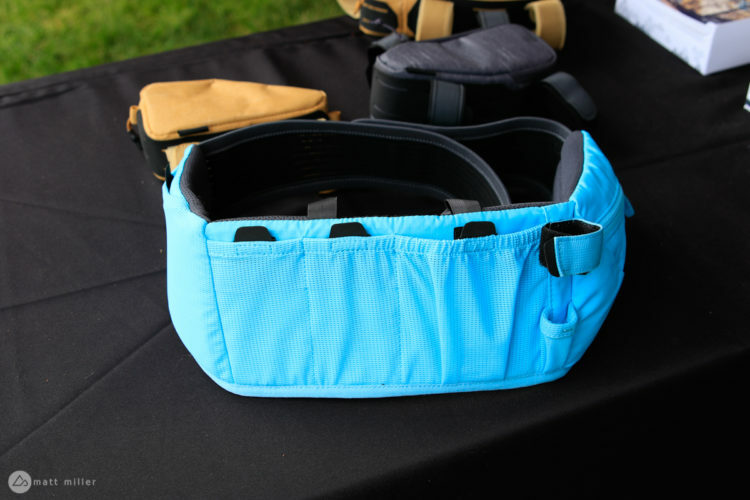 In reality, I think many people oppose emtbs as another trial user because they don’t want more competition for a parking spot, banning them for that reason makes us no better than hiker and equestrians that attempt to ban us. Probably a greater concern than trail sustainability is the potential for user conflicts due to the greater speeds afforded by e-mtbs. Fantastice point concerning the “hiker and equestrians that attempt to ban us” (mountain bikers). I grew up in the NW and remember many trails closed to mnt bikers and only open to hikers and horses. These days many are now open to all three users with little to no conflict. I see the ebike as a way to stay on the trails into my 60’s and later. I have ridden for so many years now I cannot imagine not getting out on the trails. What would you say to a disabled veteran that uses the ebike to continue what they love after losing some of their physical abilities from the injuries while serving? I want to get shirts with the ” No E- Bike” logo shown on this trail. So if anyone is making them , you have a buyer. Lindarets had a shirt that said motor + bike = motorbike. However, it looks like they aren’t making it anymore. I’ve also seen this sign (https://www.rockartsigns.com/d72/product/10-1009) from the same company that makes the decal shown. Will be interesting to see if one becomes the standard. This comment seam very similar to the comments made concerning bicycles on the road with automobiles just a decade ago. But with some education of the public and defining rules of the road it seems to be more widely excepted. I’m surprised by the harsh opinions of those who decide to ride an e-mtb. I don’t have one, but have tried one, and found it fun. It was nothing like a motorcycle. I was still pedaling, and putting a substantial amount of effort into it. I did go faster than I would have on my normal bicycle, but still slower than anyone descending the trail, and when descending, went no faster than I would have under my own power. My experience demoing the e-mtb led me to see them favorably. 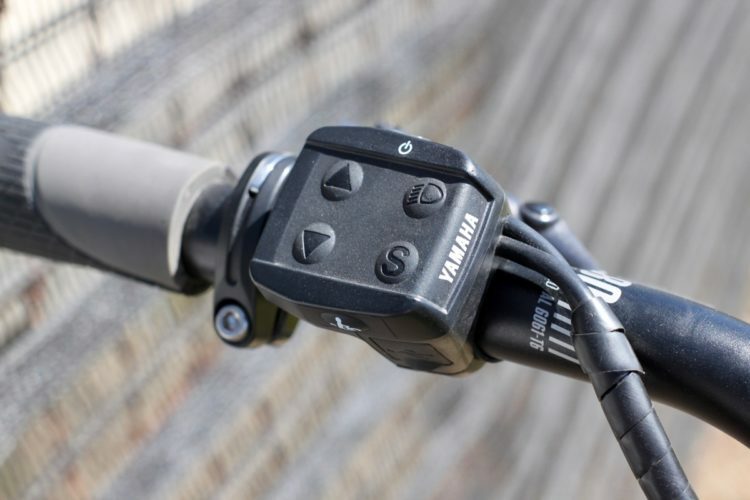 They do not emit any exhaust, are practically silent, and make the prospect of enjoying mtb trails a bit easier for those who would otherwise not engage in the sport. One commenter mentioned how he was angered by being passed by groups of e-mtb’s. Would you similarly be angered by a group of elite level mountain bikers flying past you under their own power? I have heard no reasonable excuse for the hatred toward these bikes. There is the ever-present argument that some individuals will use them to ride foolishly fast uphill, endangering others on the trail. This excuse does not carry much muster for me. There will always be some people who do not think enough about the well being of others on the trail, they will just as readily engage in the same behavior downhill on a non motorized bike. We could utilize the same logic in terms of downhill speed. We could say that no bikes with suspension are allowed on rough trails because the suspension allows them to go downhill so much faster. Arguing against the behavior because of the tool is what hikers do to argue against mountain bikes on their dedicated trails, PCT, wilderness trails, wilderness study trails, national monuments, etc. My friend’s dad is over 60 and still a strong cyclist, his mom however is not nearly as strong, but rides an e-bike because it allows her to go riding and still have some fun. We need to implement objective reasoning in the rules surrounding these bikes. Rather than a blanket ban, which really makes no sense, discourage reckless riding, enforce it periodically if needed. Now, just a question, if I ride an e-mtb without the power turned on, should it still be illegal on these trails? What about in the absence of the battery? Should it still be disallowed because of the electric motor which would now only serve as added weight? So if It would be ok to not have the power, or the battery, why would it not be acceptable to respectfully ride the bike at a reasonable speed, and giving proper consideration to other trail users, under some pedal assistance? I am a recent E-MTB owner in my 60’s. As we age our bodies experience more injuries and impediments to activities we have always enjoyed (and physically been able to do when we were younger). We purchased the E-MTB’s because my wife could not access the trails/roads/hills due to lack of physical strength. The E-MTB overcomes some of that “disability” associated with aging. They are quiet, and relatively slow. We are regularly “passed” by younger, more fit bikers (on non-e-bikes), and do not get crazy on descents. I fail to understand the huge negativity and agree with some posts above: the most adamant post(s) against e-mtb’s probably have not spent time in the saddle of one. If you had, I do not think you would be so negative. This allows us “Old-guys” to enjoy the mountains too. I’m sure this post will invite a lot of emotional replies. I’m not competing with you I make no noise I have zero emissions I mind my own business and try and leave as little trace of myself as possible. Why do you care what I ride? I bought a high-end Trek e-mountain bike this summer after having to stop several times on a switchback trail climb to let my heart slow down. I told my son and grandson to please wait at the top. I am 71, have congestive heart failure, but still ride miles every week and have the capability and love to navigate natural single track trails with family and friends. Having the ebike doesn’t make me faster anywhere except on climbs where I no longer jam things up by having to stop and rest. I also don’t believe they create additional trail wear or cause younger users to go faster anywhere other than on uphills where they certainly should be considerate of slower climbers. I have found that to be the case. Current laws that limit ebikers on single track trail really disappoint me. E bikes are here to stay. They help our industry and they help many people to get out and ride. They help people who may otherwise not be able to ride trails without an E bike. E bikes should be allowed to ride anywhere. bike/machine. I ride during the week when the trails are quiet. Most riders I encounter don’ t know it’s an ebike but the more savvy experienced riders do, and then they freak out when they realize what I’m riding. Why?!?! I am not doing anything different they are doing, but gentler, but it does get me up the hill. I weigh 135 lbs. the bike is over 50 lbs. believe me, I get a workout. I was born and raised in northern Colorado and I will ride respectfully and joyfully where I want till they throw me in prison! Can you imagine the reaction I will get from the other inmates when I tell them about my vicious misdeeds? , This bike has opened me up to new adventures and appreciation for my back yard. Eventually we will coexist, but till then I will tolerate haters and try to educate and inform the curious and rabid.